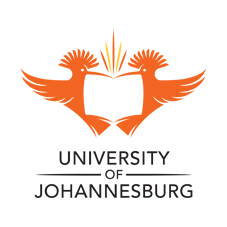 One of the University of Johannesburg’s newest and youngest hockey recruits has been selected to play for the South African men’s indoor hockey team during the Indoor World Cup next year. First-year corporate communication student Keegan Kieck’s performance at the recent interprovincial tournament in Durban convinced selectors he deserved a place on the team. “This is a huge dream come true for me. I have been training very hard and it’s an honour for me to have the opportunity to play alongside the best players in the country, especially with me being younger and less experienced,” the 19-year-old said. The side will first have to show their mettle however at the Indoor Hockey World Cup Africa Qualifier tournament in Windhoek, Namibia, from April 9 to 13. Should they qualify, they will be heading to Germany in February next year to join the top hockey-playing nations at the World Cup. “This is one step closer to realising my ultimate goal,” said Kieck. The young sporting star is more than an overnight success, after first taking up the sport at the age of three. He shares his love for the game with his parents, who both played hockey in their youth. Although he enjoys other sports like tennis, golf, soccer and cricket, Kieck said he knew at a young age that hockey was the sport that he would pursue. The former St Stithians College pupil started playing provincial outdoor hockey at the age of 10 when he made the Gauteng U13 team. Since then he has played for his province in every age group throughout his school career. Last year he also made the SA U21 men’s outdoor team. Kieck explained that indoor hockey differed vastly from the outdoor version of the sport. Aside from being played indoors, the field is a quarter of the size and the game is much faster, with fewer players and lighter sticks. He said he was constantly driven to improve himself and his game. UJ hockey manager Elize le Roux said she was very proud of Kieck and that his selection was a great honour for the university.